So while I have an exciting announcement (hint: new book, no not THAT book) in a week or two I want to make people aware of yet another podcast I did recently with Abbey Orr of First Base Fitness for her podcast I Am Worth It. As usual, I talked way too long and I think we went about 2.5 hours in total. I do love hearing myself talk. 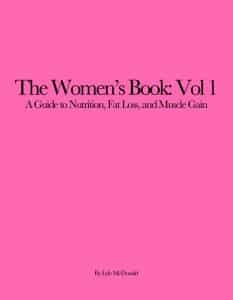 In Part 1, we mainly talked about women’s issues including an overview of the menstrual cycle, birth control, why women often have a harder time losing fat than men, how cravings and food intake changes, etc. You can listen to Part 1 in Itunes here. In Part 2, we switched gears a bit and talked about some of the differences between the general population and athletes in terms of training and nutrition. I think this is something that is often overlooked and it’s come up in a lot of my recent interviews. We also took a look at IIFYM and other aspects of flexible dieting and what happens when someone breaks the plan and finished up with the importance of sleep. You can listen to Part 2 in Itunes here. If you like it, make sure and leave her a review as that helps with Itunes rankings.